/ DIY Snowman Donut On A Stick + Free Printable Dice Game! 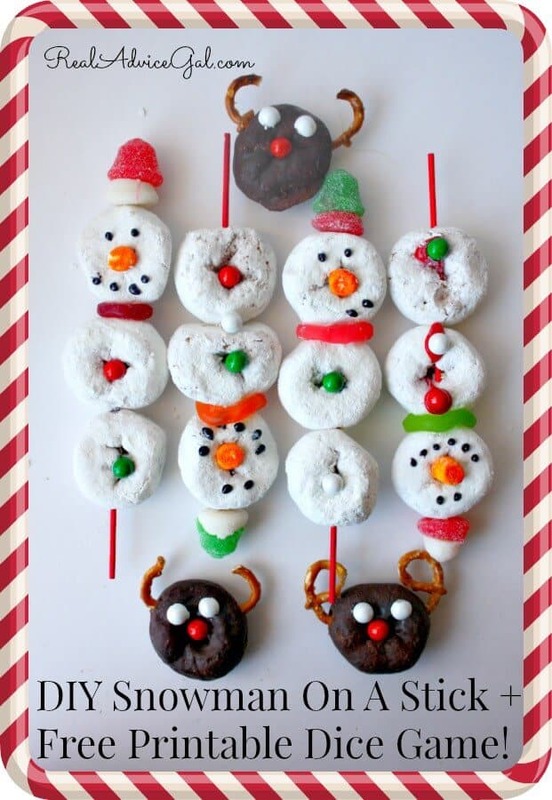 DIY Snowman on a Stick- Do you know what my favorite part of the holiday are? Doing fun crafts with my kids! We are a crafting family all year long, but we kick it into high gear during the holidays. You can expect my kids to make homemade gifts, our house to be decorated, and for us to bring the most festive snacks to school parties! My daughter has a school party tomorrow, and I knew we just had to make something cool. So we decided to make DIY Snowman on a Stick! They are easy to make, oh so yummy, and something I knew the kids would get a kick out of. 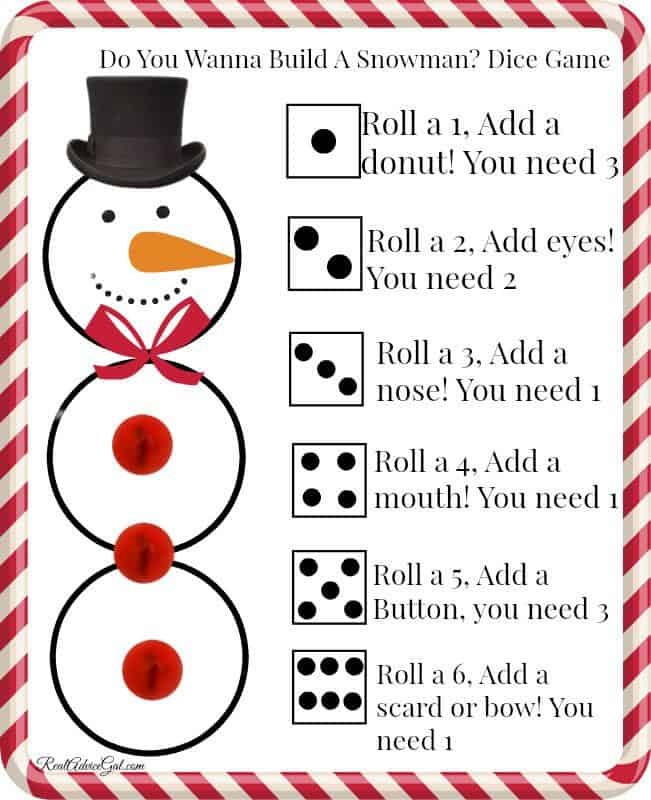 But I decided to take our DIY Snowman on a Stick idea one step further, and turn it in to a fun learning game for my kids to do while we made them. And guess what? I’m going to share my DIY Snowman on a stick + a FREE printable dice game with you! I hope you enjoy! Ok, now that you have gathered your ingredients, it’s time to learn how to play the game. I have created a free printable to use for the game. All you need is dice! The game is a pretty simple concept. Each person rolls the dice and adds each element as the number is rolled. At the end of the game everyone should have a complete Snowman on a stick to enjoy! Also, for smaller child, you could use (my personal favorite) Hostess Chocolate Donettess, chocolate candies, and pretzels, to make these super cute reindeer donuts! 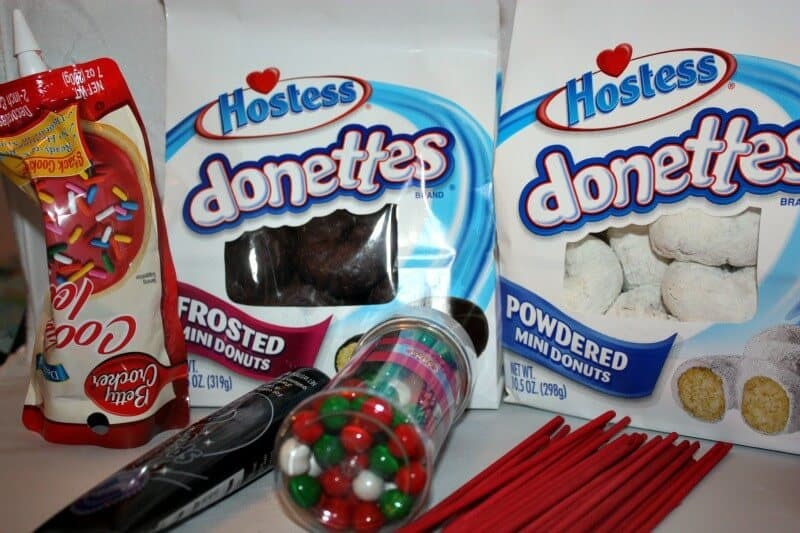 Visit Hostess website to see more of their products. 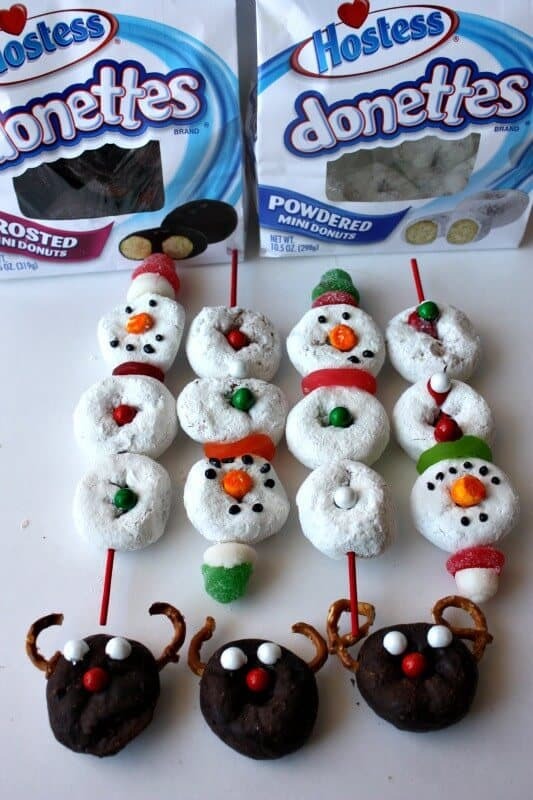 So have some fun with your kids and make a yummy treat at the same time with my DIY Snowman on a stick! 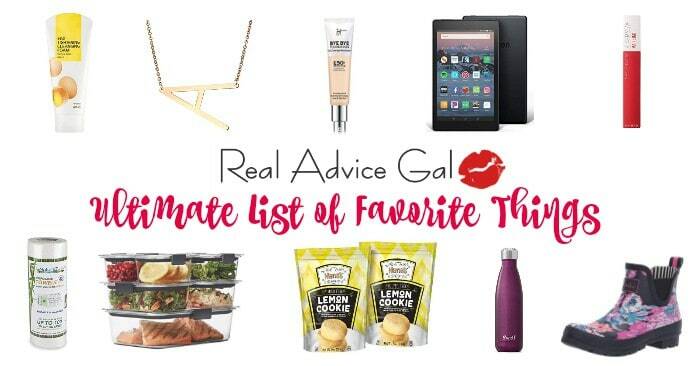 Looking for more edible fun? Check out the Hostess Pinterest Board for more Holiday themed video recipes. Also visit Twinkies Cookbook for more yummy and fun recipes.